One of the most popular tourist places in Northern India is situated in Kullu District, Himachal Pradesh on the banks of Beas River and at an altitude of 1950 Meters or 6500 Feet (approximately) Manali, Valley of Gods. The term stands for Manu (Manu Rishi) + Aali (Home) and I bet you his home (Manali ;)) is just MAGICAL in nature. 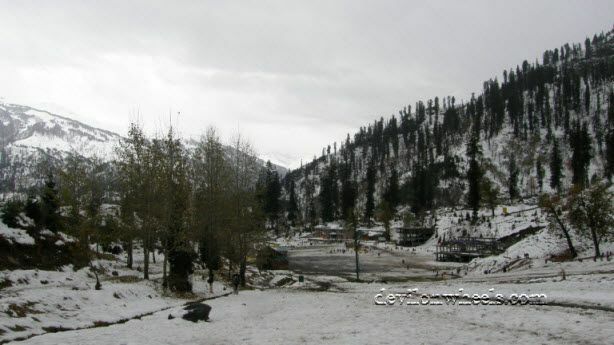 Manali is one of the oldest towns of Kullu Valley. The place surrounds with the the aura of ROMANCE everywhere, right from the hustle-bustle of mall road to the very calm, traditional, firang (foreigners) dominated old Manali to the woods/villages around/beyond Manu temple to the walk path around Hadimba temple. It can easily be called one of the ROMANTIC destinations of India. The place is ideal for families as well as young couple looking for some hide and seek with the flavor of romance on top of it. Manali is largely visited by the honeymoon couples (me did so 😉 Read story Snow at Manali and Naggar | Honeymoon Trip ) and in summers people from all walks of life (children to old) run to seek pleasant weather from low hot burning lands of Northern India. 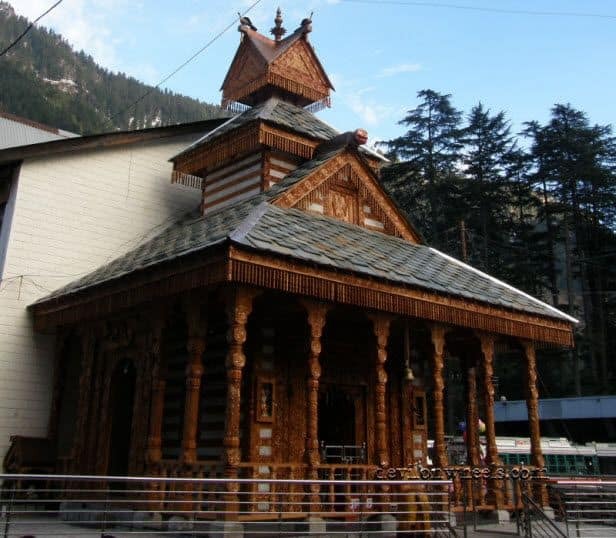 The Hadimba goddess runs the Manali town and is the center of worship of the people living at Manali. The almighty goddess also governs the tall mountains along with raw nature and it’s only after her permission that one gets to enjoy this beautiful place to the core. When people think of Manali the second keyword that comes is of course Rohtang Pass which no doubt is a must visit place if you go to Manali. 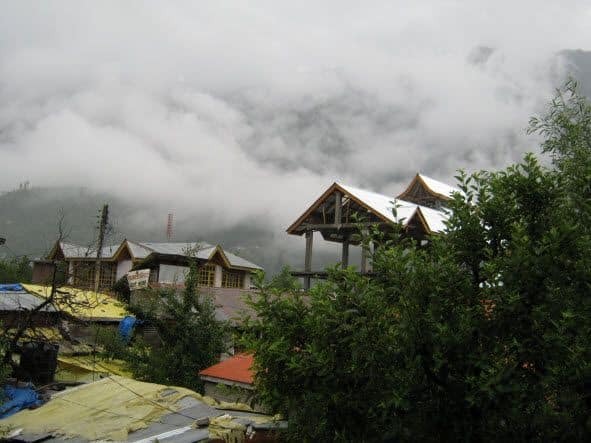 Climate in Manali is almost nice throughout the year (if you like chill ;)) where you can enjoy chilling cold in winters (December-February) and nice pleasant cool weather in summers. The best time although to visit Manali is April to June when heat is burning the low lands of Northern India. July-August may experience rainfall but this place has again it’s unique beauty when it rains :). Snowfall may also occur in the months of January and February. April to June is the best time to visit Manali but do keep in mind that in summers (April-June) people from most Northern parts of India invade this place like anything and seeing the Mall road in the evening can cause serious shiver in your Head :D. It’s almost you are in Trade Fair of Pragati Maidan, Delhi 😆 But if you enjoy it, then it’s really awesome time to visit Manali. Also, you can take the shelter in Old Manali in such extreme cases which is far off from the hustle bustle of the (over) crowd. Right from accommodation to food to shopping to taxi / auto fares, everything is costly in this peak season summer holidays. For honeymoon, of course if you get married in winters then Mid-November to February end is the best time as you get an additional benefit of heavy discount, being off-season topped with less number of tourists or at least you see similar love birds. Do avoid Durga Puja holidays mainly in October when the rush is at peak again and people flood the Kullu Manali towns like anything :D… It is also the Dusherra Festival time in Kullu Valley with which also valley is under heavy tourist rush. Nearest Airport is Bhunter near Kullu about 50 KM away. From Kullu, you can hire a taxi to reach Manali in 90 minutes approximately. The fare of taxi could be Rs 600- Rs 800, depending upon the bargaining skills as well as season time. Chandigarh is the closest major Railway Station from where it would take anywhere around 9-10 Hours to reach Manali by bus/car. Manali is about 570 KM from Delhi (approximately) and takes around 12-14 Hours to reach. HPTDC Volvo Buses also run from Delhi at 6 P.M. everyday from HPTDC Office, Janpath and reaches Manali next morning around 8 AM. The fare is around Rs 990 on side. The similar buses leaves from Manali every evening 5.30 PM and reaching Delhi by 7.00 AM next morning. Delhi to Manali roads run on NH-21 and NH-1 highways and are pretty much in great shape being a highway. In the entire route there are one or two rough patches so that you never loose your concentration, specially the drive from Kiratpur to Sunder Nagar is horrible with with trucks running madly all over the road on both sides, slowing you down terribly. A slight Chandigarh to Roopnagar stretch is also in bad shape but rest of the road conditions are pure bliss to drive. As per HRTC FB Page, HRTC & HPTDC operates 6 daily Volvo buses from Manali to Delhi. While HRTC charges ₹1283- for this service, HPTDC charges ₹1300/-. Travel time is roughly 13.5-14 hours (592 kms). From Delhi to visit Manali you require at least 3 Nights, 4 Days and it would be great if you have more 🙂 But ideally in 3 Nights / 4 Days you can cover majority of this place. I would also provide some add-on or pop-up day tours which you can include exclude as you like. 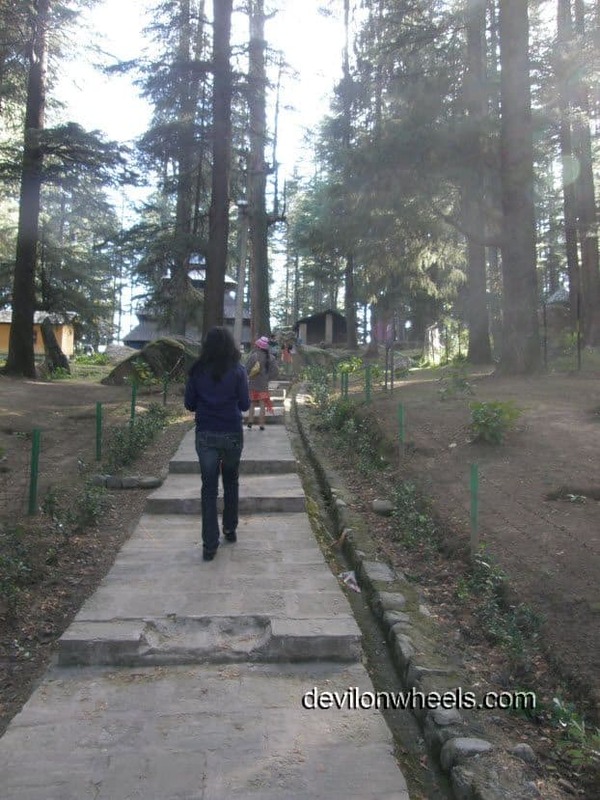 Night – 1: Leave Delhi in the evening to reach Manali next morning either by car/or Volvo bus. You can take a morning flight to Kullu as well which takes you to first day. Day – 1: Check-in at the hotel, rest for few hours and go on for Local Sightseeing. 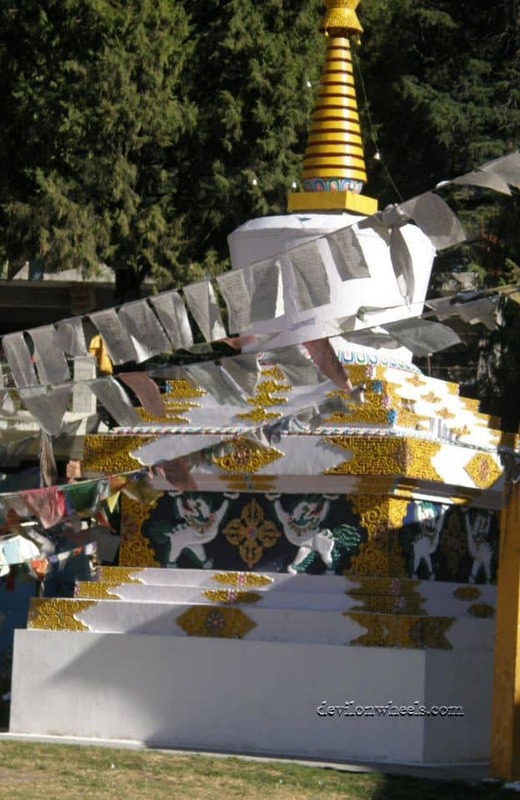 This may include Mall road (which of course you can’t avoid any day), Local Monastery, Hadimba Devi Temple, Manu Rishi Temple in the evening through the streets of old Manali. Have Dinner at one of the traditional / western cuisine restaurant at Old Manali. Come back to hotel for the rest. Day – 2: Leave for Rohtang Pass early in the morning to avoid traffic JAM. Mind it, it’s worse JAM of the trip so be prepared and it’s always better to avoid by shooting for Rohtang early morning may be 7 A.M. Come back to hotel by evening or around 4 PM to rest at the hotel and enjoy the Mall road in the evening / night. Day – 3: Leave for Solang Valley if you want to do some adventure sports and enjoy the day there. Come back in the evening. Leave for home in the night, either by taking the evening Volvo or by you own car. Day – 4: If you are not interested in visiting a unique place then include Naggar Castle in your trip with a night stay at Naggar Castle. Well the views it offers is just breathtaking. So you can also opt for Naggar in place of Solang if you don’t like adventure sports then replace this day with the trip to Naggar Castle, just 30 odd KM from Manali. For honeymoon it’s one of the best place to stay and must visit for couples looking for ideal romantic point. To get the glimpses of the views from Naggar Castle, check these links of my visit to this beautiful place. You may take a day trip to Naggar and leave for Manali same day if you don’t like much but better include a night stay at this lovely Hotel. Next morning you can leave to Delhi from Naggar itself. Day – 5/6: Another set of location you may include is that you leave for Kullu or Kasol in the evening if it’s the penultimate day of the trip or early morning on any day if you have ample amount of time. Just it would be great if you can do it on the way back to home towards Delhi or similar route. Leave for Delhi in the evening and reach by morning. Johnson’s: Located near Circuit House is very famous for it’s cuisines. The rooms are really comfortable and worth the money. Even if you don’t stay do have a meal or two in it’s restaurant. Range is Rs 2200- Rs4000. Picaddily Resort: This is at the start of Mall road and not at all a budget hotel. We stayed here in very off season and still we got a room for 1500 😯 I believe. But I must say the money was worth it as the Hotel have all sorts of deserving offerings one would like. 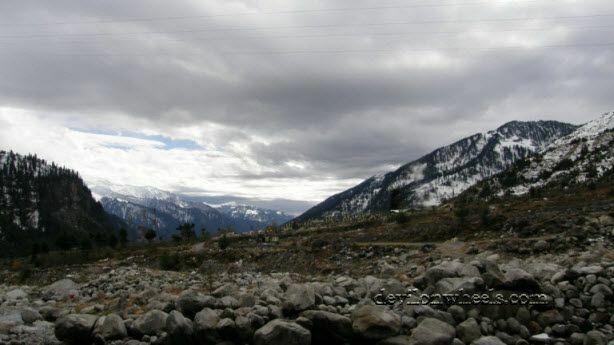 HPTDC, Rohtang Manalsu & The Beas: This hotel is a bit away from hustle bustle of town but very moderate budget hotels. Range is 650-2000 and you can always stay here if you are short on budget. So, if you are no short of budget go for Johnson’s or Picaddily Resorts, although there are more luxury Hotel also available which you may check for sure. 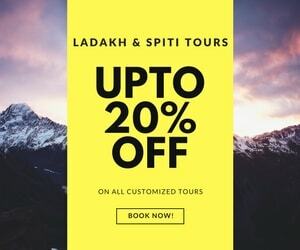 If you are short on budget either choose HPTDC, Rohtang Manalsu or HPTDC, The Beas or else you can very well walk to the streets of Old Manali where you will get very good deals for some cheap hotels in Manali. HPTDC is always a safe bet if you are in dilemma for cheap hotel, I believe. It’s near Circuit House approximately 15-20 minutes walk. Autos run all time in Manali to take you to the local tourist joints but charge a bit high. I feel walking down to these places has fun of it’s own kind. 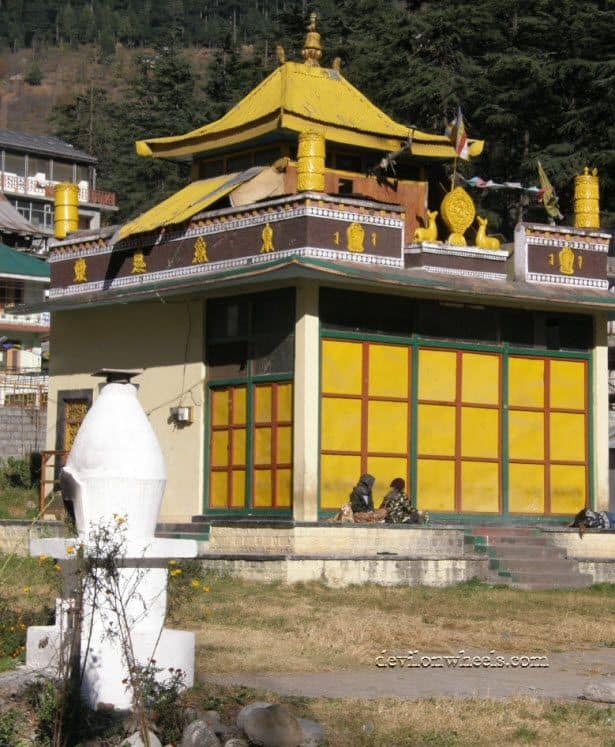 As you cross through the streets of lovely Old Manali you will reach this temple. Chingu Chingu is what you will hear all over as you start entering the road. Don’t fall into the trap of sales man of buying it, most of them are duplicate makes. Local monastery is situated just few 200 odd Meters from the bus stand at Mall road. You can surely buy some souvenir from the shops in front of the local Manali monastery. Personally I didn’t like this place at all and considered it as total waste of time. 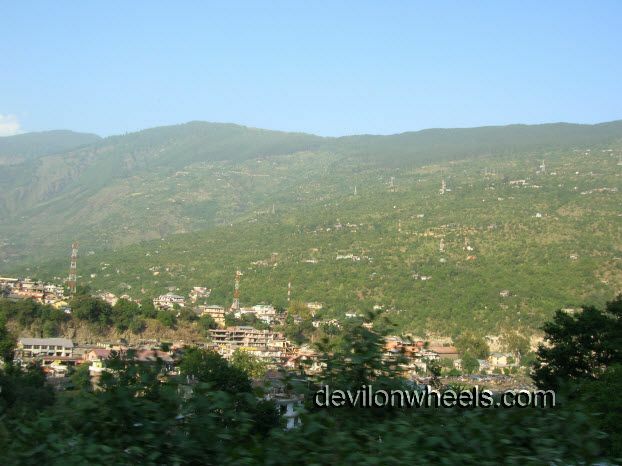 Other trails in the woods through local villages and old Manali which can be enjoyed as well. At an height of 13,051 feet or 3978 Meters, this Pir Panjal Range pass is a must visit for every tourist who goes to Manali. 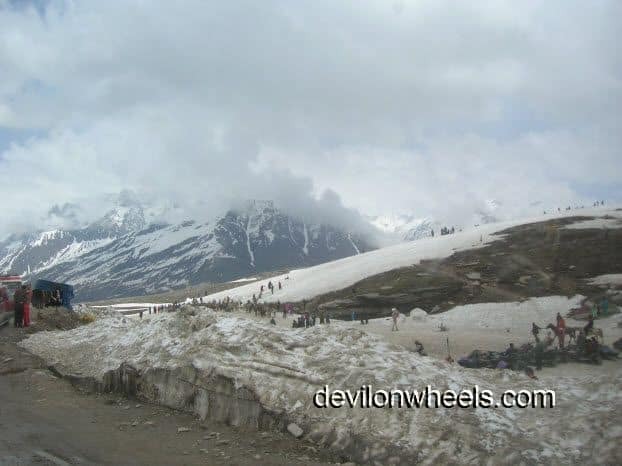 You can find snow throughout the year at this place and is reachable from May End – October It connects the Kullu Valley to Lahaul-Spiti Valley and is one of the main blockage point of Delhi-Manali-Leh Ladakh connectivity. Mountaineering and Allied sports Institute, Manali conducts various courses on Skiing at this place and if you love adventure sports you may find this place very exciting. Along with this, it also offers snow capped views of glaciers and even snow in winters. The place also helps in proper acclimatization if you are wishing to head Leh Ladakh. It’s a major district of Himachal Pradesh and is located at the banks of Beas River. The Airport Bhunter is just 10 KMs from this place and you will find ample of place to shop. 42 KM from Kullu, Kasol situated at the banks of Parvati River is yet another place which is a must visit and provides a completely unique experience with Israeli atmosphere dominating the air.It’s an hub of backpackers and what they are after, you very well know. 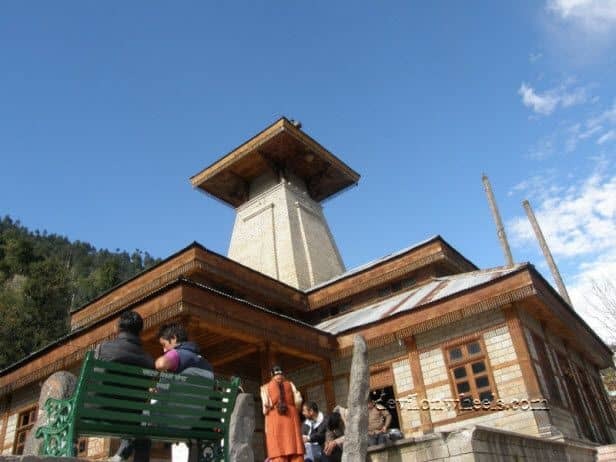 It’s a Hindu and Sikh pilgrimage center located between the Beas and Parvati Rivers. Well you may like it or you may not like it. It’s a matter of taste but couple of hours giving to this place is worth enough. A hot water spring about 10 KMs before Manali on the road side itself. Thanks to Ajay for sharing this place with us at the comment here, will check next time I visit up there. If you ever have been to Manali then please share you valuable thoughts and suggestion as well so that it can help other fellow travelers to plan their journey to Manali accordingly. I will be looking forward to your comments and suggestions. bikes in the month of dec ? my flights get to delhi in the id night of 28th 2clk that is on 29th.i will take a cab directly to manali. his is sridhar, we planned go for manali from delhi on coming 18th july 2018 and it a right time to visit manali ,Because without knowing the weather condition we booked the flights,hotel,and self driving car for this trip. Keep a tab on weather reports as rains are happening. In case there is a prediction of heavy rains, better avoid traveling. please help me places to visit or stop.. Delhi to Amritsar/chandigarh and back to Delhi. We r taking a zoom car. We have two weeks time this November and we just want to relax and stay over 1day at each destination suggested. We r only two of us it’s more like a honeymoon and not interested in talking or other adventures. Purely scenic and nature lovers. Is it a good time to visit Manali during last week of March? Will Rothang Pass visit be allowed during that time? Great article … Really informative. I will be travelling with family including children, will hptdc Bea’s be a good option ? It’s the only hotel which has family suite. HPTDC and HRTC Volvos are good option to travel to Manali from Delhi. These pictures are very inspirational and can inspire anyone to visit there. I like travelling but I never visited in Manali yet and planning a trip with next month. Thanks for sharing. I think I replied to your other comment Amit. Please let me know if you did not get it. Hi Amit, the roads are well built from Delhi to Manali barring few patches of bad roads with potholes but nothing like off roading, just bad road conditions. 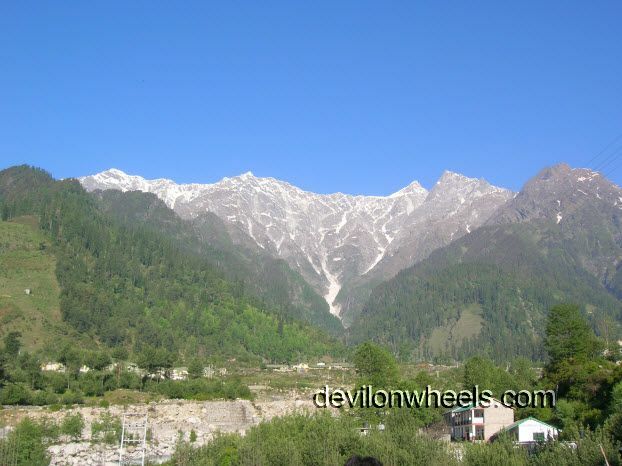 Snow is not present on road up to Manali and beyond Manali better to hire a local taxi for sightseeing. IF you drive cautious and carefully and have good driving experience, the basics will help you drive to Manali from Delhi without much difficulty. Do not overtake ever on turns in mountains, do not over take unless you have clear visibility of traffic coming from opposite side because people do drive rashly and many times over take on turns. Be patient, you will get chance to overtake other slow vehicles but do not risk it. I will be going along with my 11 month daughter is it okae for manali to take her. I will suggest talking to your Pediatrician and ask his inputs for taking an infant on a long journey. 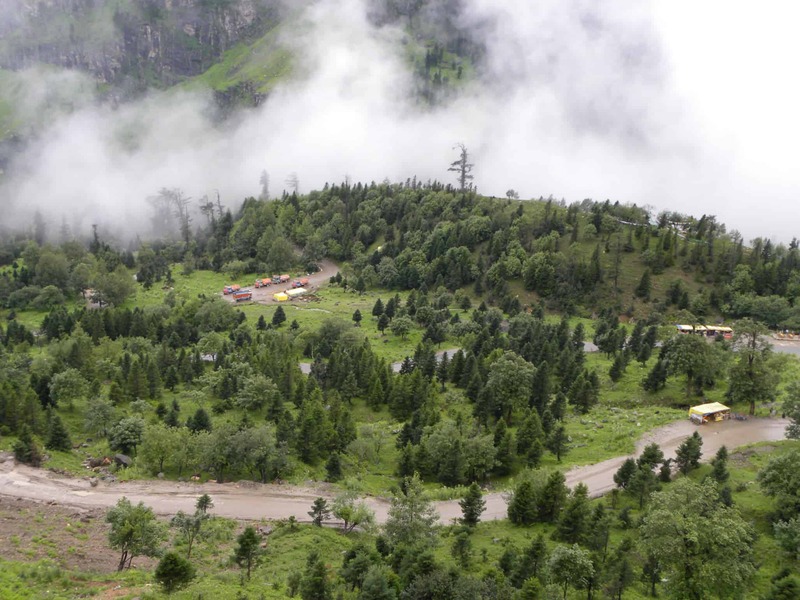 Altitude-wise, Manali has vegetation and does not cause any health issues. Try avoid going higher than Manali. 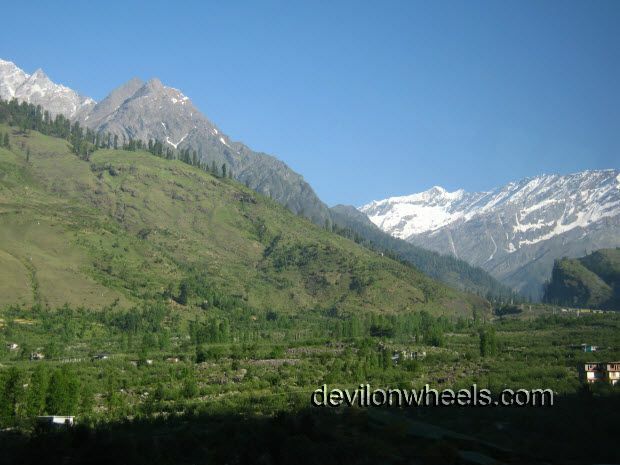 The Info provided on Manali was way too attractive and a real temptation to visit the same. Your key tips will be really helpful in plannig. I have planned for a Trip to Manali in the Month of Feb 2018 dates being 1st 2nd & 3rd Feb. I was reading few blogs over net saying that travelling to Manali during Feb the Roads are totally covered in Snow and require special maneuvering skills. I Would be driving a 2X2 Hyundai Creta. Kindly suggest in this. Is it that dangerous to drive to manali during February 1st Week. There is no such requirement to reach Manali Govind. Creta is more than capable to reach Manali on any day in a year. Yes, at time when there is heavy snowfall, the roads get filled with snow for a day or two but administration clears it soon as the weather clears up. During that time, no vehicle, including 4×4 can pass through. But that only happens if the heavy snowfall coincides with the date of travel. The Info provided on Manili was way too attractive and a real temptation to visit the same. Your key tips will be really helpful in plannig. Just replied to other post. We are a group off 6ppl and are planning a bike trip from delhi to manali over a period of 5days between 11th to 15th august 2017. Is it advisable to visit manali on bikes during august? Are there any chances of landslides over the delhi manali route via shimla?? How difficult would the terrain be? Well Riya, it will be rains in Himachal or North India during that time of the year. The roads are fine but with bikes you have to face the rain hassles all throughout in case it rains on those days which in general does every year. Roads are tarred up to Manali. There will be landslides or road blocks but then again, if it rains heavily it will not be possible to ride on bikes. Thanks for the insight Deheraj. Can you please let me know if the its advisable to travel from delhi to shimla during that period in bikes? I am extremely sorry for mispelling your name continuously. Its cos of this damn autocorrect. Delhi to Shimla is still fine as roads are wide and well laid out till Shimla. Also, there is no river nearby too in Shimla route. I will suggest to keep the options open, in case there are no rain predictions for the week, go for Manali trip else go for Shimla. But, be cautious and avoid taking unnecessary risks. No roads are open in Himachal in July almost up to third week before the monsoon comes. Once monsoon comes to Himachal, landslides are common. We are planning 9 days trip for following places. 2 adults and 2 children. April 25th to May 3rd. Can you give your opinion and best places to stay in shimla and manali. Mani, well, there are plenty of options in Shimla but I never prefer to stay in concrete jungle like it. For Manali, you may opt for Johnsons. 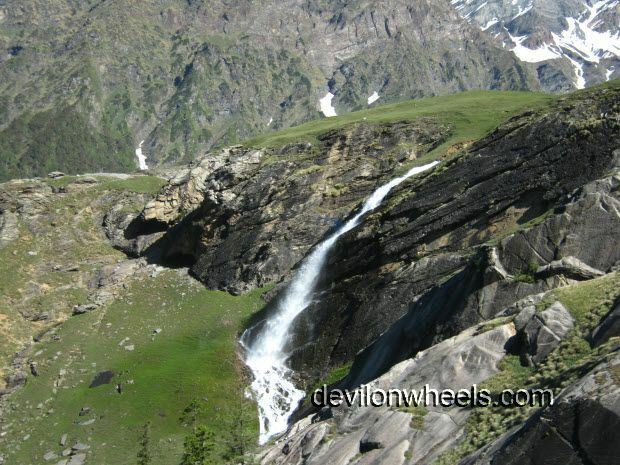 Hi Dheeraj – thank you so much for such detailed information for Manali visitors. I need to an advise, would it be safe if I travel by Sadan car (Mahindra Logan) with family (2 adult and 2 Kids)? Actually, I am planning to Visit Manali in the last week of May for a full week and wanted to cover Rahtang Pass, Solang Valley and Kullu in first 4 days and then want to move Kajjiar which I believe approx. 400Km from Manali and from Kajjiar back to Gurgaon. Yeah Sanjay, the roads to Manali are fine barring the stretech from Swarghat to Bilaspur where road conditions have pot holes and truck traffic but nothing a sedan cannot handle. Your plan looks fine to me. Have couple of spare days at least for Khajjiar. Thanks Dheeraj! My only worry was my Sedan Car as the length of car is more compared with SUV or small car so I was thinking it might be problem on narrow hill roads and curves… Thanks Again! Thought of seeking your advice for a trip planning in April 2017. I am planning for a second honeymoon trip to Shimla-Kulu-Manali. 🙂 and the trip is planned in Second week of April. Plan is to go to Shimla first then to Manali-Kulu. We are planning for 4-5 days of trip. And Is it a good Idea to hire a bullet to roam around in the city? We will be landing in Delhi from Singapore. 4-5 days for both Shimla and Manali will be very hectic considering you planning the honeymoon. I will suggest to restric it to one of the places preferably Manali. You can opt for Johnson’s Cafe or Log Huts in Manali for it. Dheeraj, you’re amazing man. HATSOFF for selfless service. I would like your opinion on my iternary which is not completely planned. We’re 3 couples from Bangalore. We’ll reach Delhi on 24th January 2017 morning. 30th – Morning back to bangalore. 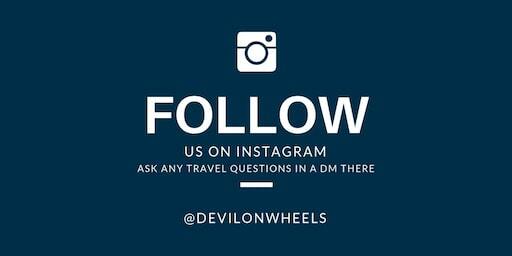 I would like your suggestion on places to visit and activities during our manali stay. I don’t have much info since it’s winter time. *Please advice on hotels for staying also. I’m thinking we can’t book hotels like “honeymoon Inn” because it’ll be difficult to travel local places since it’s far from mall road?? *What will be cost of cabs like Innova? I will not suggest you undertake such a hectic plan. You should keep Agra for some other time in future and focus over just a relaxing holiday in Manali and around. The journey is 14 Hrs from Delhi to Manali and takes a toll on your body. Then again going over 8 Hrs journey for Agra and back will surely gonna exhaust you all !! Hence, best is to stick to Manali and enjoy it at leisure. 1. You can go for Johnson’s, both are near to mall road and exceptionally good. 2. Cabs should range from anywhere between 3000-4000 for a day trip to snow points. I suggest to skip Agra. Use Volvo to reach Manali from Delhi and Volvo to come back. No private volvo, only opt for HPTDC or HRTC volvos. For local sightseeing in Manali, hire local cab. Thanks for swift reply Dheeraj, we’ll do as you have suggested. Can we stay in Naggar castle in our duration and what will be the weather there? So much information about Himachal, Great job by you friend, heartly appreciate. i m going to visit himachal tour with Day 8 & Night 8. Here is my ltinerary. need to some your suggestion or inpur wheater we can added anything we covered during these time which i have no idea. or possible to covered?? Pickup and proceed to Pinjore Garden and Rock Garden After lunch proceed to Timber trail enjoy Cable Car Ride (at your own cost), . Night halt at Shimla. After breakfast visit Kufri and Mini Zoo also enjoy horse riding in this Apple Orchids (please be aware, here you can be cheated by horse riders). After lunch we will have free time for shopping at Mall Road. Night halt at Shimla. Shimla Local Sight Seeing of Mini Train and Rest Day is Free for Shopping.Night halt at shimla. After early breakfast proceed to Manali by road (10 hrs. journey) En route we will visit kullu local Sight Seeing. Night halt at Manali. After breakfast full day visit at snow point Rohtang / Madhi / Gulaba ( by Self Expence). Night halt at Manali. After breakfast visit Hadimba Temple. After lunch visit Solang Valley (known as shooting point)(at your own cost). Night halt at Manali. After breakfast proceed to Dalhousie ,by 2×2 bus, total distance is 350 kms. En route Palampur tea gardens,Baijnath Temple night halt at Dalhousie. After Breakfast proceed to pathankot Rly. Station by road (2 hrs. journey) and board Train with memorable experience . Any special inclusion during these time please suggest. Hi Dheeraj – Thanks for your support to fellow travelers. I have submitted my query on the DoW Community. Would be helpful if you can provide your views on it. Thanks!! Sure Hitesh, I will take a look into it tonight and reply. Greetings! 10 of our family members have planned for a trip to Manali from 27th to 31st December. We are planning to take a tempo traveler from Delhi to Manali. 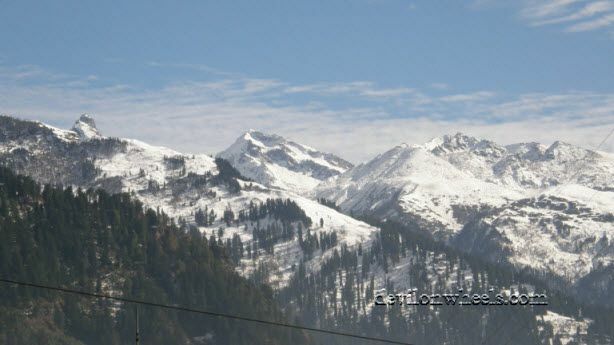 Is it safe to do a overnight travel to Manali during the last week of December? Yes Venkatesh, as long as the driver has slept for the day and fresh to drive the whole night, it is fine to travel overnight. All volvo buses of himachal tourism run overnight only. Atul, you will need permit for Rohtang Pass which can be issued from SDM office in Manali by showing the vehicle RC, PUC and your driving license. Great Information Dear. You’ve done a great job. I really want to visit Manali. i’m coming to visit Golden Temple Amritsar. Can anyone suggest me from where I can book a taxi from Amritsar to Manali. Sonali, taxi stand at Amritsar will have plenty of options. Thank you Sonia, glad it helped you guys for your Manali trip. Nice write up dheeraj…. it really provides ample information about the complete manali…But what i would love to know is that how is the climate at the end of september ? Heard that from my friends its right now its flood over there at manali… is it true? Not really, things are no where close to flood. September end if a pleasant time to visit Manali. Naresh how many days you have in hand? Sorry Dilip, never hired a cab for Manali. If anyone of you know to drive, it will be less costly to take a self drive car to Manali and there are many options available in NCR for self drive cars. I would like to buy cheap bus from Delhi to Manali but can find anywhere where to buy it… should i buy it through internet? Are there sleeping bed? What is the best for solo travelling women? Ola, best is to reach ISBT delhi, Kashmere gate from where you can buy HRTC bus ticket. DO NOT try private operators. HRTC works best. The ordinary bus to Manali by HRTC has a fare of Rs 684, semi-deluxe Rs 704, Tata AC Rs 1062, Volvo 1332. Whats the difference beetween standard and semi-deluxe? In which busses there are sleeping possibility?? Standard is a general bus and semi-deluxe one have a bit comfortable seats than the standard buses. I have mostly travelled with HRTC and HPTDC volvos and they were always as comfortable as they are supposed to be 🙂 … Sleeping lie down will not be possible in any, volvos do have a kind of recliner seats to an extent and most comfortable among all options. But if I stay in Jispa and take a bus to Leh next morning i can get only “standing” places in the bus! Is in not true? The bas leaves from the village before Jispa. If I book in advance will i have quarantee to get sitting places ?? SO whats the best way of doing this route to avoid high attitude sicness when starting from Manali?? Sleep in Sarchu and drive to Leh next morning? Yes, Sleep at Keylong and next day arrive at Leh. Buses do this way only. After reading your blog I’m very much interested in visiting manali. We are a gang of 6 members and will be going in the middle of August’16. we will be planning from Delhi and we have opted for bus from Delhi to manali and hire bike or taxi in manali for the local trips. 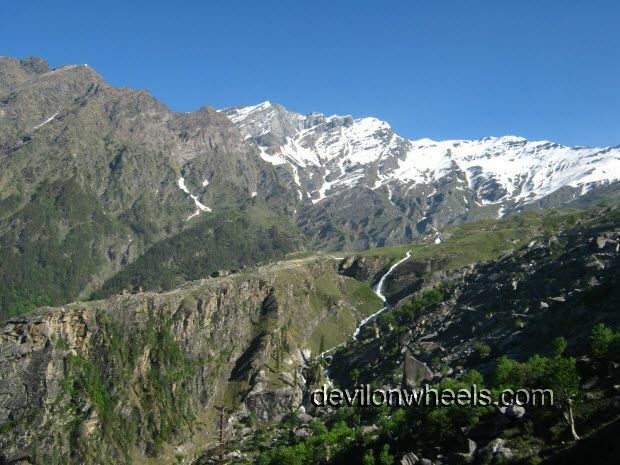 1.we have only 4 days so main areas to visit would be rohtang pass, solang valley for some adventures sport. 2. I would prefer hiring bikes, is that required getting permit in advance for that and as you have specified bike would cost around 700 – 1300 rs and what would be the security deposit? 3. Is it better to hire taxi from delhi itself for the whole trip? Please suggest some best options and a budget friendly one. At-least we would need bikes for a one day trip to Rohtang pass. A very Informative blog. Thanks for helping co travelers. I Will be travelling to Manali in Last week of June . Will be Self driving my Honda City with family including my mother. Request your advice on 2 questions. 1) What is the latest update on road conditions after Kiratpur Sahib? or should I take the Una route? 2) I need to stop overnight at some place after driving for 6~7 hours. PL suggest a good decent place for family stay. going with travel agent / some tour package / going without them with is the best? It depends upon if you are ready to plan your trip on your own and save money or you want others to plan your trip and shell out money to them.